If you can't face your problem, then there is a problem with your face! Pimples, zits, break outs, blemishes -- whatever you want to call it, is what I hated the most! One of the biggest bummers that comes with the changing seasons is breakouts. The switch in temperature and humidity can cause pimples. Stress, lack of sleep and a whole lists of other environmental and genetic factors can add to the blemish count, yes, even for those of us who are well out of our teens. Now that it is summer again and the weather is so hot and humid, I don't wonder If you're sick of pimples. Then maybe you could give this a try-- the 30-day Proactiv treatments, scrubs and cleansers that will help zap those zits and give you clear, radiant skin. Bye-bye breakouts! 1. One of the main ingredients in Proactiv Revitalizing Toner is witch hazel, which acts as an antioxidant. 2. Proactiv was not tested on animals. 3. Quick, easy, and not messy. 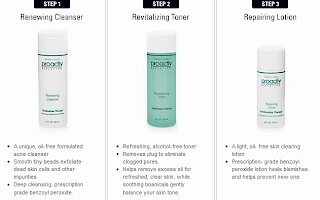 Proactiv is only a 3 steps beauty regimen. 4. 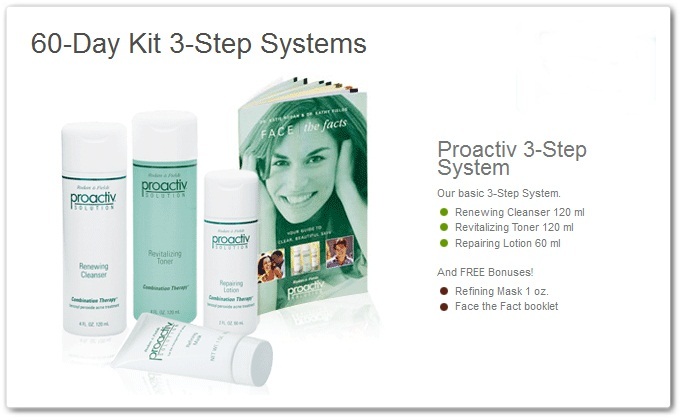 Proactiv® Solution also offers Clear Skin Guarantee and Money Back Guarantee for their 30 day kit and 60 day kit. What other products can give you a money back guarantee? The promo is applicable to Philippine Territory only and limited to residents of the Philippines only. Customers who bought Proactiv Kit from the listed participating outlets during the promo period are entitled to join the raffle. 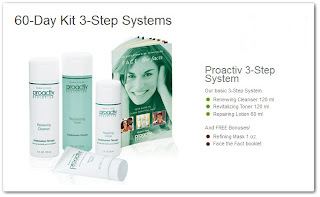 One Proactiv 30-Day Kit purchased is equivalent to one raffle entry. 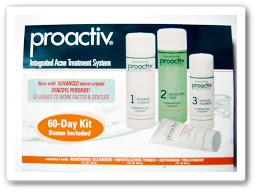 One Proactiv 60-Day Kit purchased is equivalent to 2 raffle entries. Employees of Top American Products Solutions Inc. and their relatives up to 2nd degree are not qualified to join the raffle. Suppliers, partners, and consultants of Top American Products Solutions Inc., are not qualified to join the raffle. Anyone caught attempting to manipulate the results of the raffle is subject to immediate disqualification. Top American Products Solutions Inc., reserves the right to deactivate such raffle entries without further notice. Only purchases made by individuals are allowed are entitled for raffle entries. Bulk purchases with the intent to resell Proactiv will not be qualified for raffle entries. All Watsons’ outlets or SM Department Store branches. Customers who purchased from any Watsons or SM Department Store must retrieve their Official Raffle Entry Forms from the following Redemption Branches. For Proactiv Kiosks and Watsons customers, they must fill-out the Official Raffle Entry Form with the following details: Customer must buy Proactiv kit within the prescribed promo period. Purchases of Proactiv Kits outside the promo period are not eligible with a raffle entry equivalent. The Official Raffle Entry Form must be submitted to the Proactiv Promodiser in charge to qualify for the raffle. Customer must not return the product. If a customer avails of the standard limited Money back Guarantee that comes with every Proactiv 30-day or 60-day kit, this forfeits the subsequent activation of his or her raffle entry. Now, not only was my friend pimple free, he is also full of confidence. Go zapped your Acne and win Justin Biever's perfume! My weapon in my arsenal is Proactiv because it really does cure zits effectively and it has been my secret to success coming from someone who has had acne like the plague! theres a good review on the link below on the product! ok i've tried this product before... 'bought it because my niece in the states recommended it. she apparently used it to clear her back from pimples. my bad though, i wasn't patient enough to do the regimen regularly. :( hihi, i was addicted to their renewing cleanser! PROACTIV is all over the place. This is now trending because of JB? LOL! PROACTIV cleared out my nephew's acne! Amazing but true! 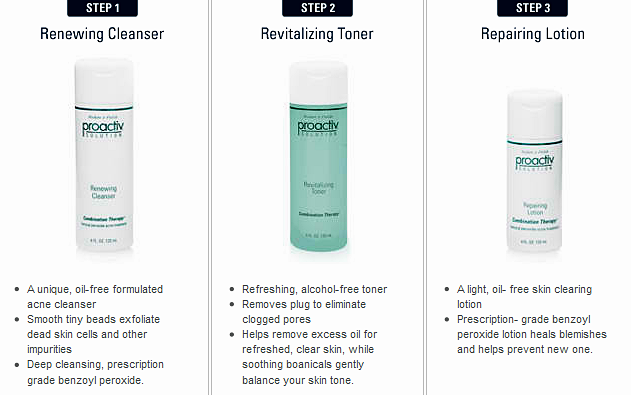 Proactiv products speak for itself! I bought one for my sister when I read this article. Thank you my sister is now pimple free!